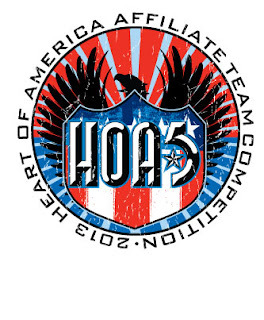 Heart Of America Affiliate Team Competition: Announcing HOA5!!! The 2013 CrossFit Games Regionals have come and gone...Now it's time to train for one of the North Central's most fun events of the Fall: The Heart of America Affiliate Team Competition aka HOA5!!! 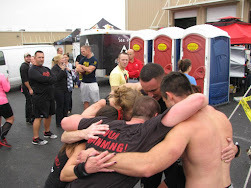 In November 2012, 90 teams representing 35 different CrossFit Affiliates and consisting of 548 athletes, competed at HOA4 in Springfield, MO. Over the course of 3 days, the competition brought roughly 3,000 spectators and exactly 25 vendors to event host, CrossFit Springfield's, facility. HOA4 was a huge success and was captured on film by Jacob Neimeyer of Baseline Media HERE. This year, we're excited to announce that HOA5 will take place on November 8th, 9th, and 10th at Mediacom Ice Park in downtown Springfield, MO. It's a beautiful 55,000+ sq ft facility which includes access/usage of neighboring Jordan Valley Park (pictured below). HOA5 will take place on November 8th, 9th, and 10th at Mediacom Ice Park in downtown Springfield, MO. 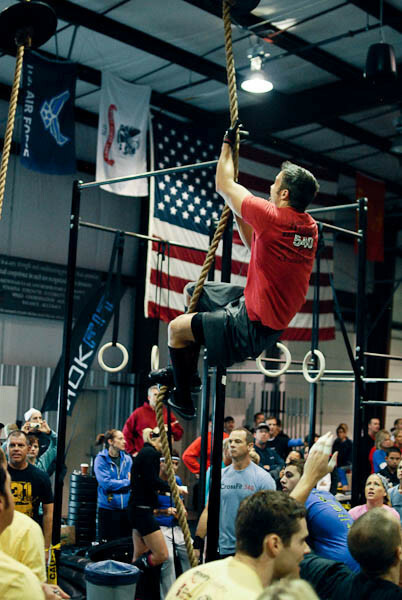 The first WOD will kick off on the evening of November 8th. 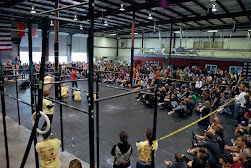 There will be 3 Competitive Divisions: Scaled, RX’d, and Masters. Masters Division: Your combined team age must be 270 or more. No one on your team may be under the age of 40. Teams must be comprised of 6 members: 3 Men and 3 Women that must actively train at the same facility. The same general team rules that apply to The Open will be applicable to HOA5. HOA5 Registration will be capped at 110 teams (50 Scaled, 50 RX’d, and 10 Masters). THERE WILL BE NO LIMIT TO THE AMOUNT OF TEAMS THAT CAN PARTICIPATE FROM ANY GIVEN AFFILIATE. Registration will be first-come, first serve. Scaled and RX'd Champions from HOA4 will be guaranteed at least 1 team entry to compete at HOA5. Registration for all HOA5 Teams, Judges, and Volunteers will OPEN and go live at MIDNIGHT on Monday, September 2nd 2013. Last year sold out in 30 minutes...don't try to have one person sign up 5 teams. Assign team captains and be ready to register or you'll miss the bus. Also, don't let your meat loaf. Special HOA5 Hotel Room Rates will be available through The University Plaza Hotel & Convention Center (Right across the street from Mediacom). Details coming soon! All HOA5 Sponsor/Vendor Information Is Available HERE. We'd be honored to have your business participate at this event. Be sure to keep up with all HOA5 info and updates by visiting The Heart of America Affiliate Team Competition Page on FB!